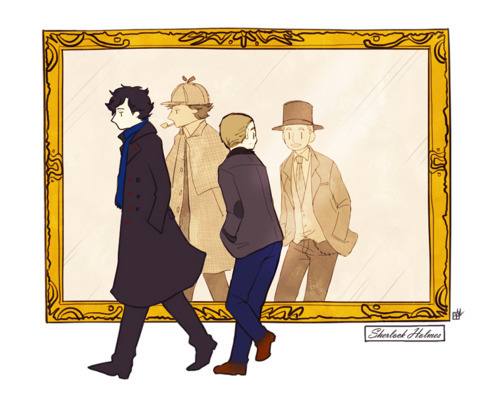 Sherlock. . Wallpaper and background images in the Sherlock in der BBC club tagged: sherlock benedict cumberbatch the reichenbach fall sherlock holmes john watson irene adler icon series 2. This Sherlock in der BBC fan art might contain gut gekleidete person, anzug, hosenanzug, pantsuit, geschäftsanzug, and business-anzug.